A customer journey involves the steps a customer takes to complete a conversion. Conversions vary depending on organisation types and can include signing up for a newsletter as well as completing a sale. In 2016, when Google introduced its Google Home smart speaker, CEO Sundar Pichai noted that 20% of mobile searches were voice-based. 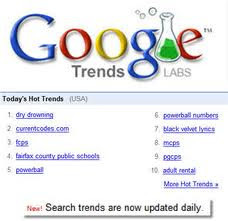 We’re aware of Google Trends and Keynote for providing research.